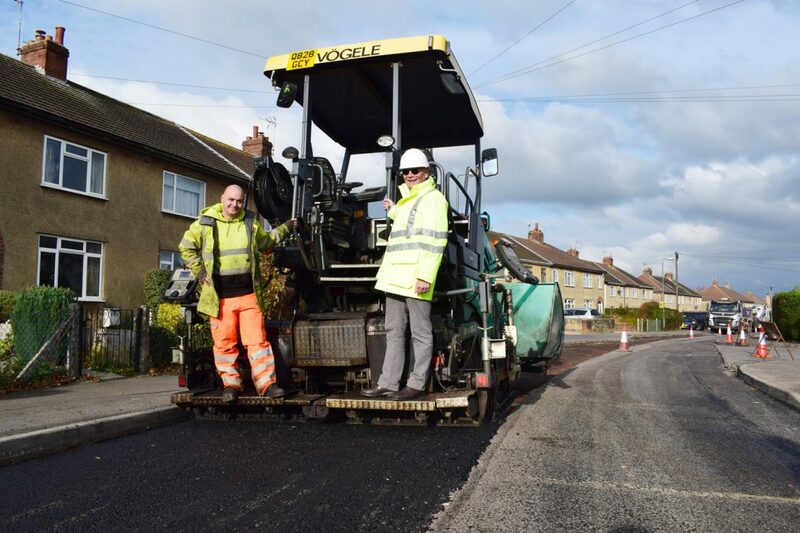 South Gloucestershire Council’s StreetCare teams strive to make our local roads better by continually carrying out road maintenance, resurfacing work and fixing potholes. Our staff are busy all year round monitoring and repairing the local road network to ensure our residents and visitors can get around safely. Since April, we have resurfaced over 26 kilometres of road and 320 metres of pavement. We’ve also fixed on average 1,250 potholes every month. That’s almost 9,000 potholes so far this year. However we’re not being complacent, we know there’s still lots more work to do, so our teams will continue working hard to improve our local roads. Cabinet Member for Communities and Tourism Cllr Paul Hughes said: “We’ve made good progress addressing issues and making improvements on our local transport network. We are one of the best authorities in the region for maintaining roads and tackling potholes, and it is our aim to continue delivering this high standard for our residents. We will always let residents know in advance if their road is affected by major work, and we’ll always have people on site to help with access and to provide information.